Hang on to Bang-Bang the Indian market, HP is going to launch two low-cost Windows 8.1 Tablets in the month of November. The two new HP Windows tablet, the HP Stream 7 and HP Stream starts for just Rs 6,100 and Rs. 9,200 respectively. Both of the devices will be available in the month of November this year. 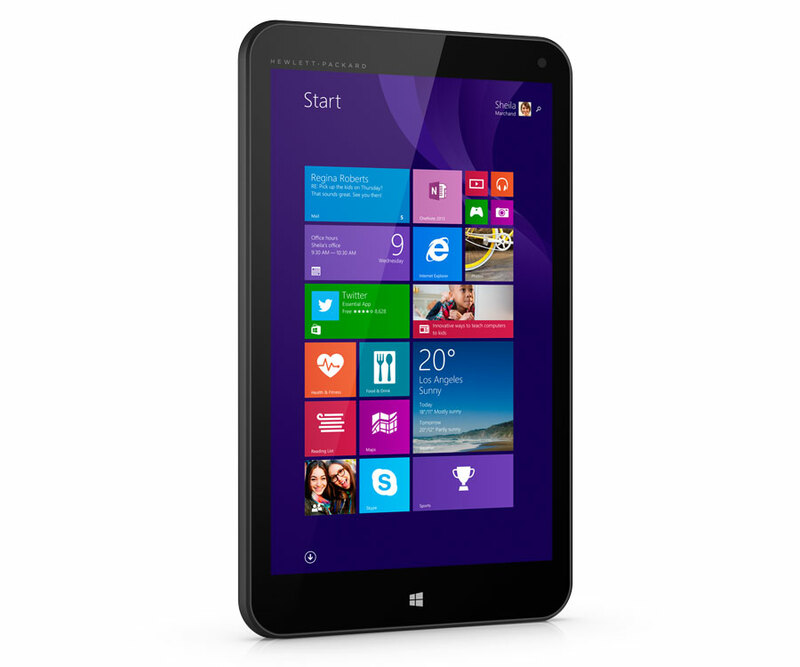 This family of Stream Tablets is meant to offer low cost Windows based tablets and are a part of Microsoft. Both of the HP Stream tablets – HP Stream 7 and HP Stream 8- are running on Intel quad-core processors and Operating system of Windows 8.1. They also include one year free subscription of Microsoft Office 365 along with storage of 1 Terabyte and 1 hrs of Skype each month. The precious of the two HP Stream 8 tablet also include free 200 MB data with 4G technology for each month with no annual contract of the device life. HP has not revealed the full specification for both the Stream tablets, but has short out the few specification at the event organized by HP in New York which include Display of 7 & 8 inch with Proximity sensor which provide features like Face detection, Specific absorption rate regulation, Wake on approach with lower power consumption, Higher reliability, better industrial design, Lowest cost and better performance and Intel atom quad-core processor, 1 GB of RAM , to provide storage 32 GB of inbuilt memory which can be expanded using micro SD card and connectivity features with Bluetooth, Wi-Fi , USB and Sim slot. With the introduction of new Window based tablets there is going to be tough competition but the consumer will get better option to choose from wide variety of ranges of tablet. 1 hrs of Skype each month.